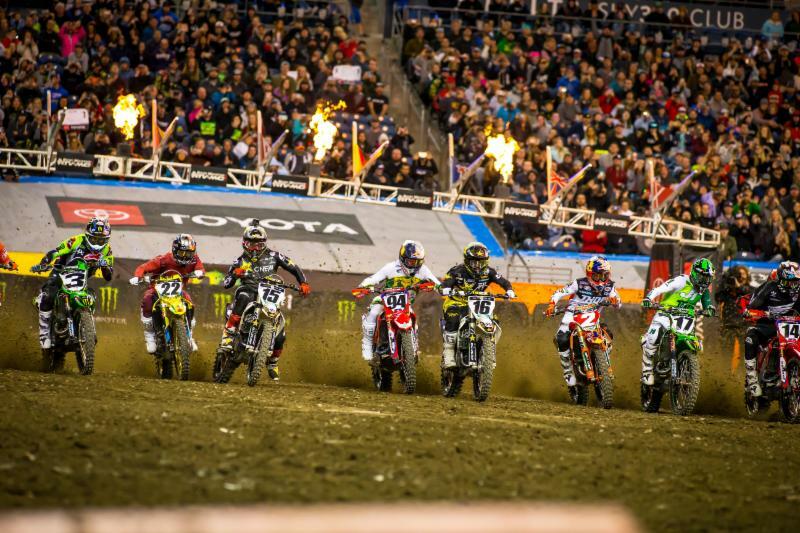 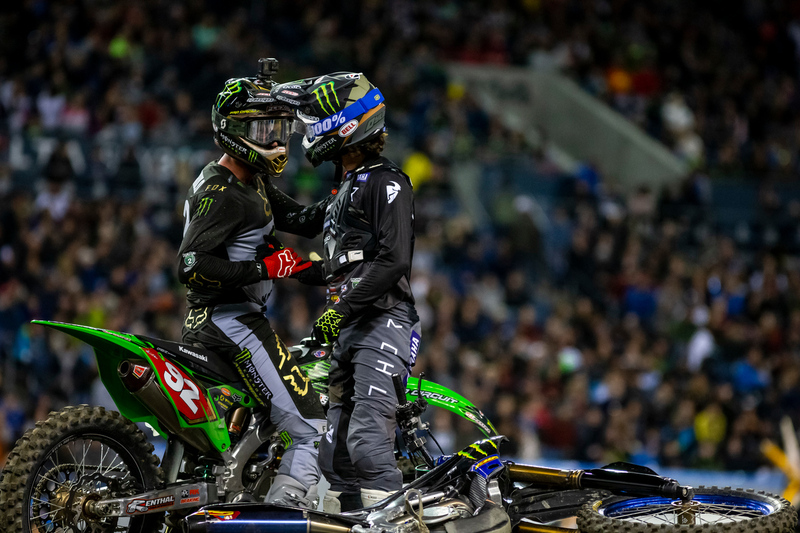 With a very dramatic post-race dilemma, Monster Energy AMA Supercross, an FIM World Championship didn’t tally the points on the Seattle event until after the racing had ended, the bikes had cooled, and many of the 58,721 fans were making their way out of the stadium. 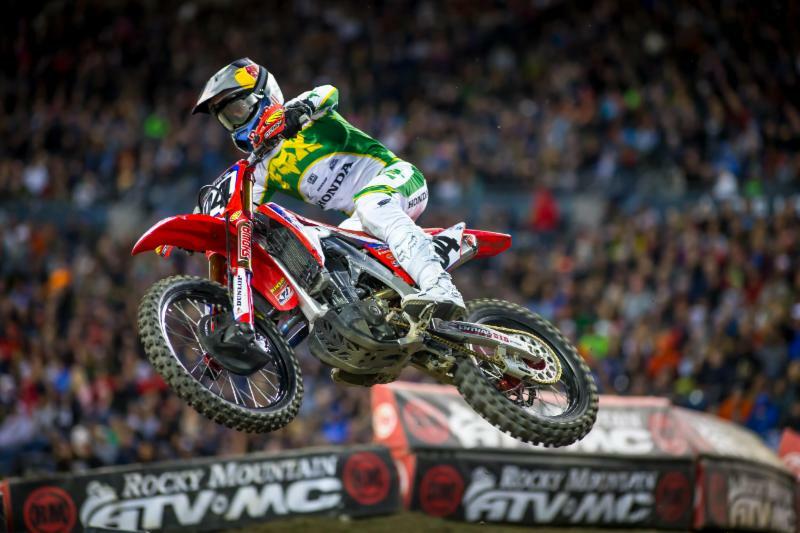 Red Bull KTM’s Marvin Musquin won the race, his second win of the season, but incurred a seven point penalty for jumping through a section while the red cross flag, signaling tires must remain on the ground, was being displayed. 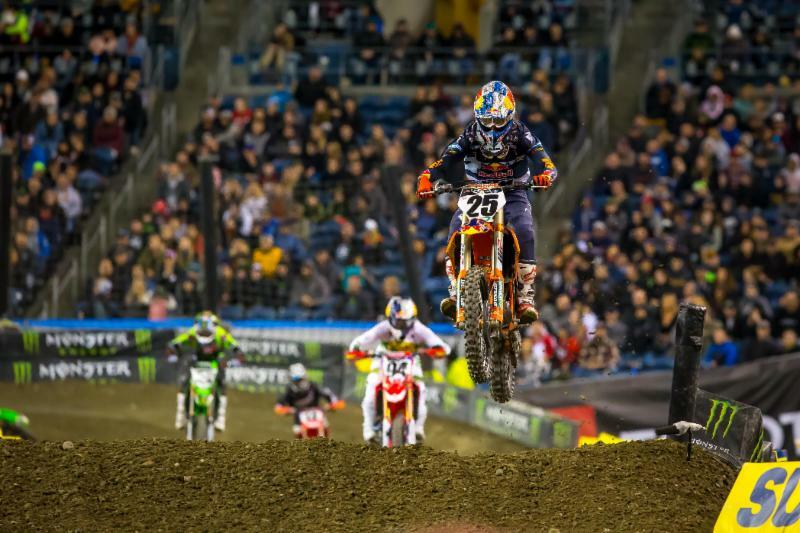 The penalty erased the points Musquin would have otherwise gained on Red Bull KTM teammate Cooper Webb, who finished in fourth. 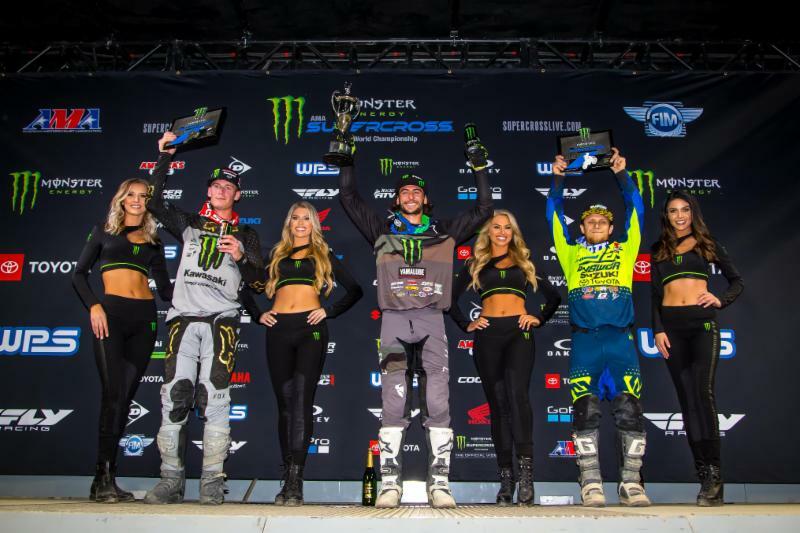 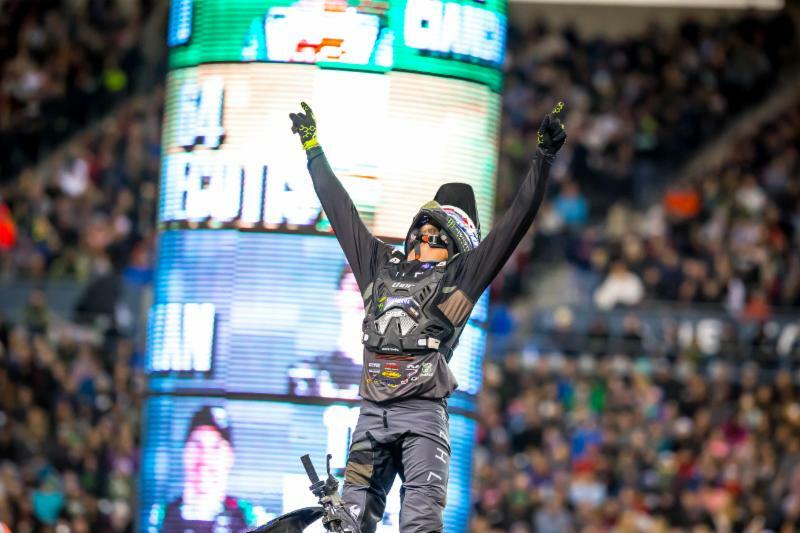 In the Western Regional 250SX class Monster Energy/Star Racing/Yamaha’s Dylan Ferrandis nabbed his career-first victory in a close finish ahead of points leader Monster Energy/Pro Circuit Kawasaki’s Adam Cianciarulo.